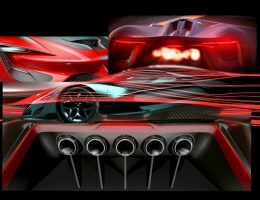 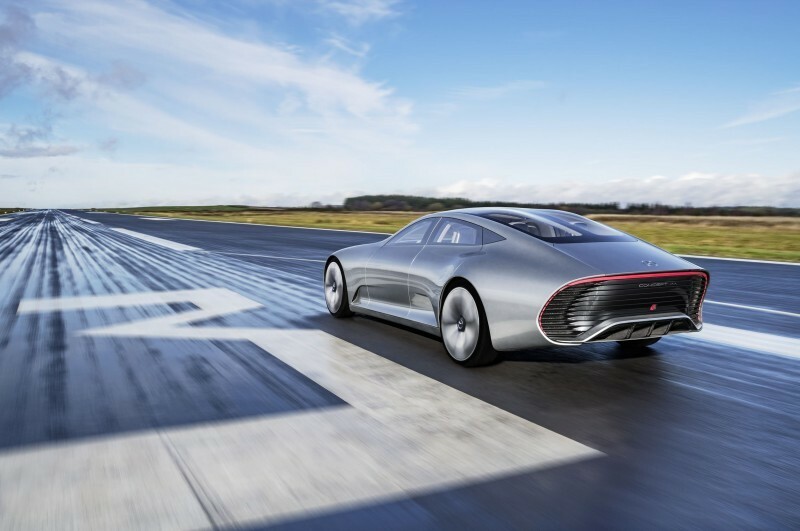 This concept IAA is the best-looking among the trio of piloted-drive, alternative-propulsion concepts from big Benz this year. 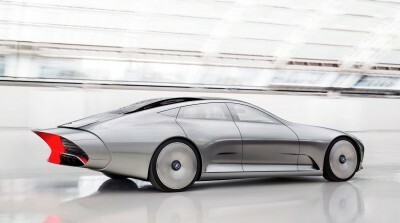 But how to love its active rear flange and sleek roofline, when the nose hits you like a punch in the cheek? 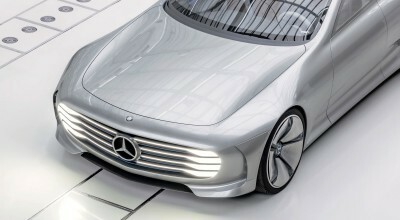 Seeing the machine out in the wilds of natural light*, the integrated lighting up front creates a nicer glow. 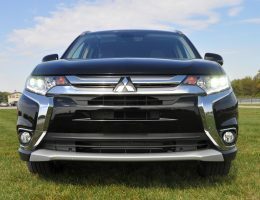 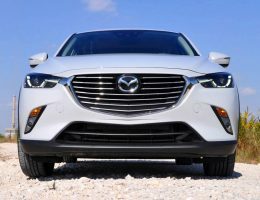 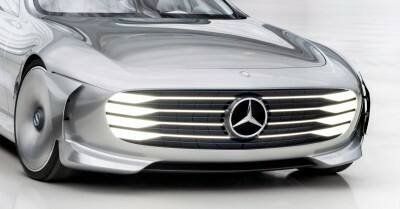 With so much solid white OLED in the grille slat edges, the inner portion resembles a more traditional V-shaped element. 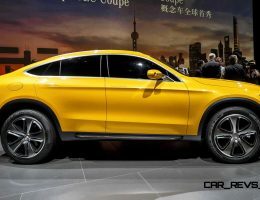 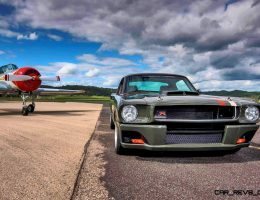 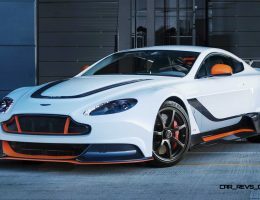 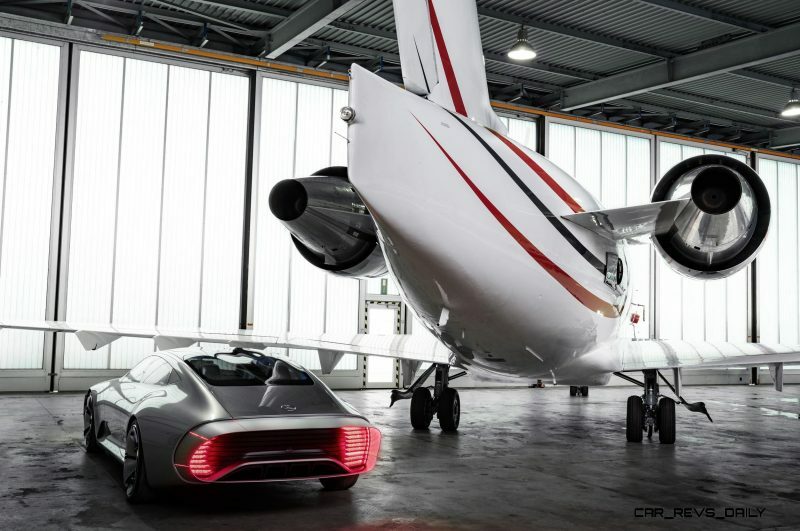 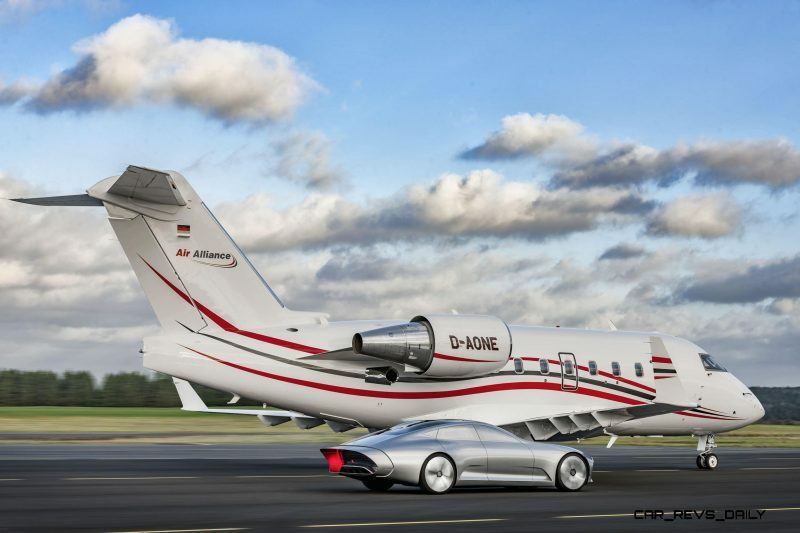 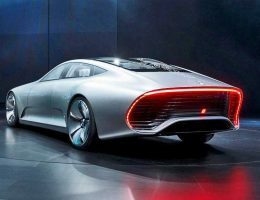 Even if it is just a matter of distance or movement, the IAA is undoubtedly stunning in these new photos —- in ways the original concept might have missed in the Frankfurt showlights in September. 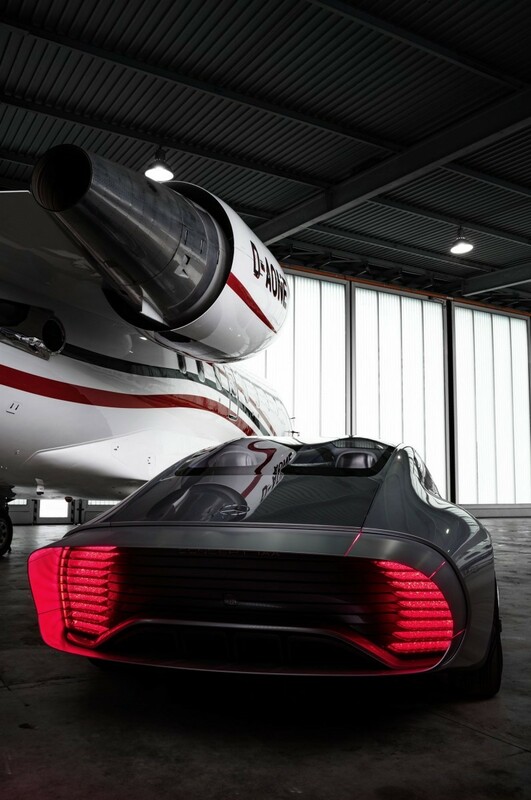 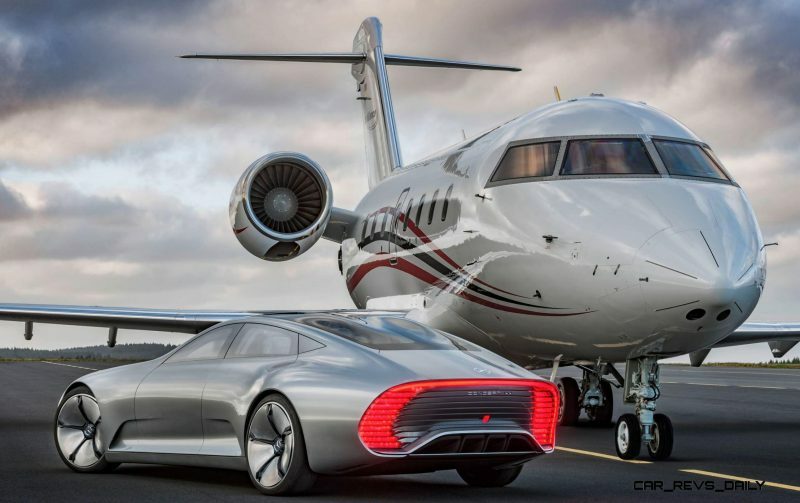 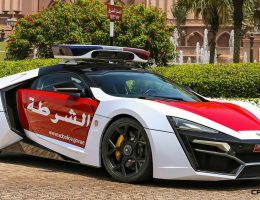 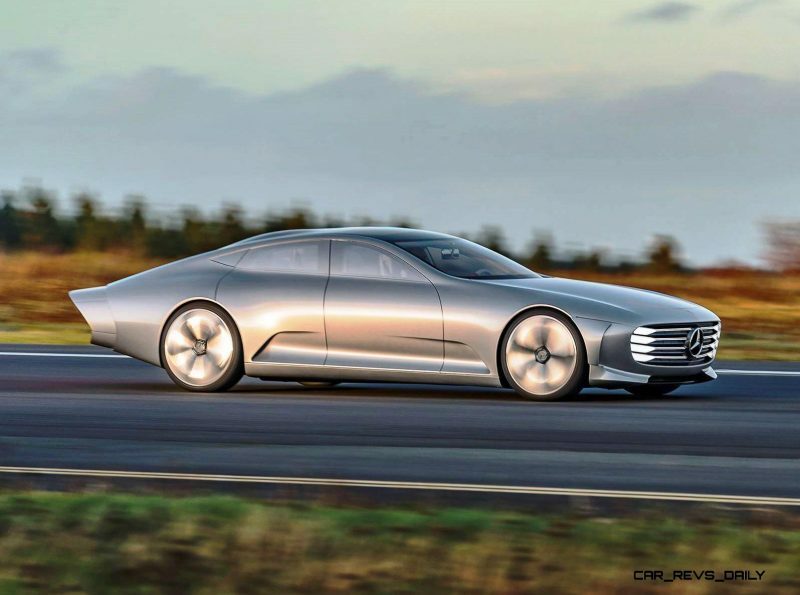 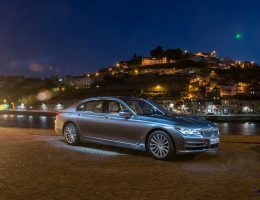 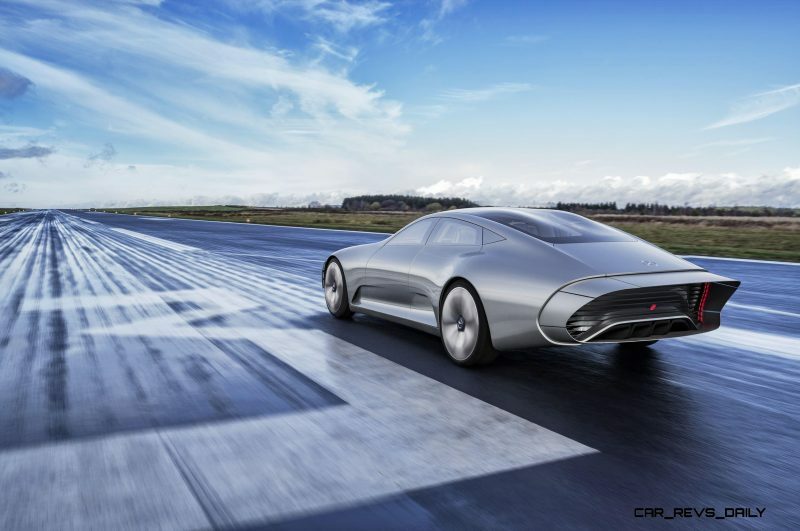 Look for the IAA all over the circuit this year, from CES to Detroit and beyond. 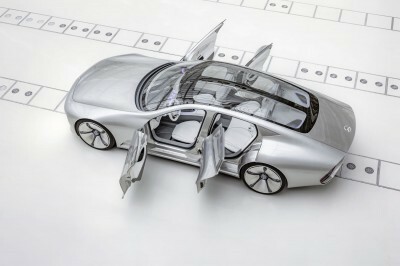 * – some of these may be digital renderings, we think, not photos. 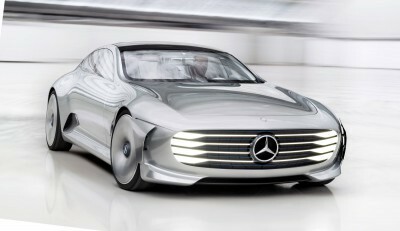 But gorgeous all the same. 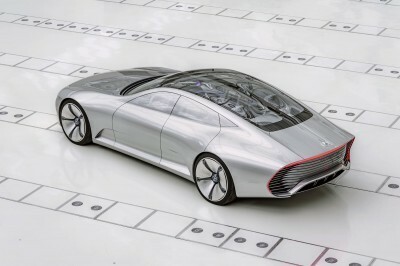 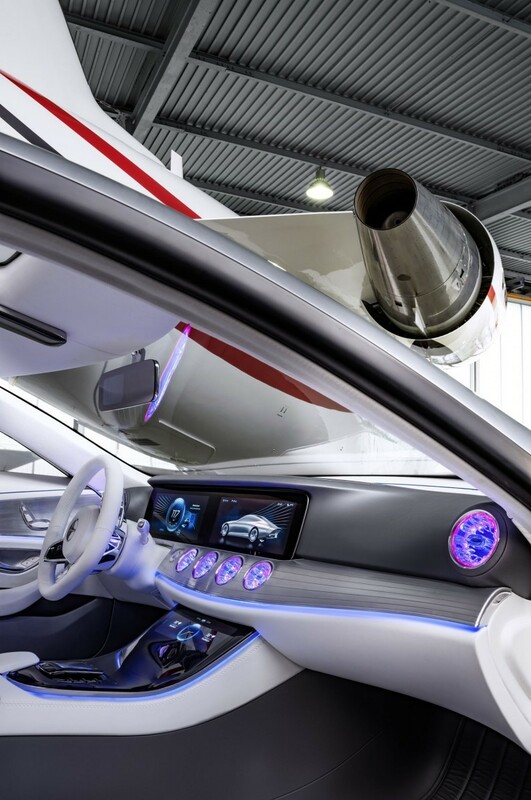 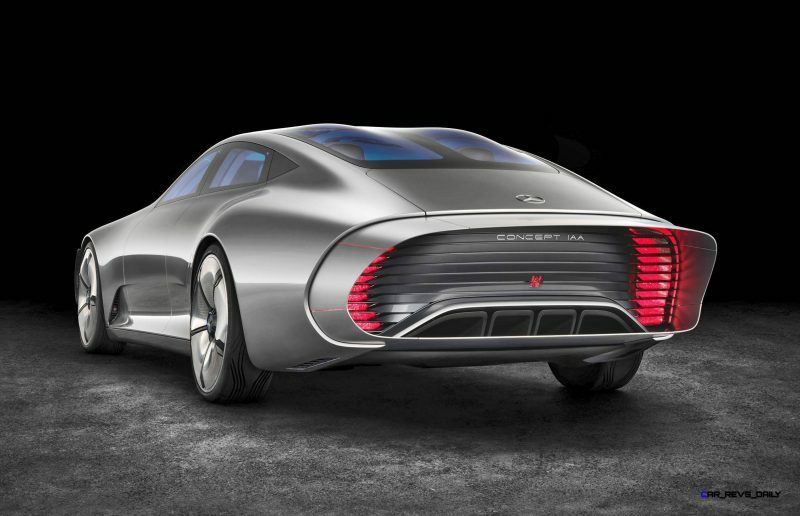 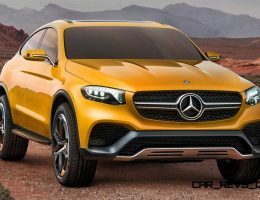 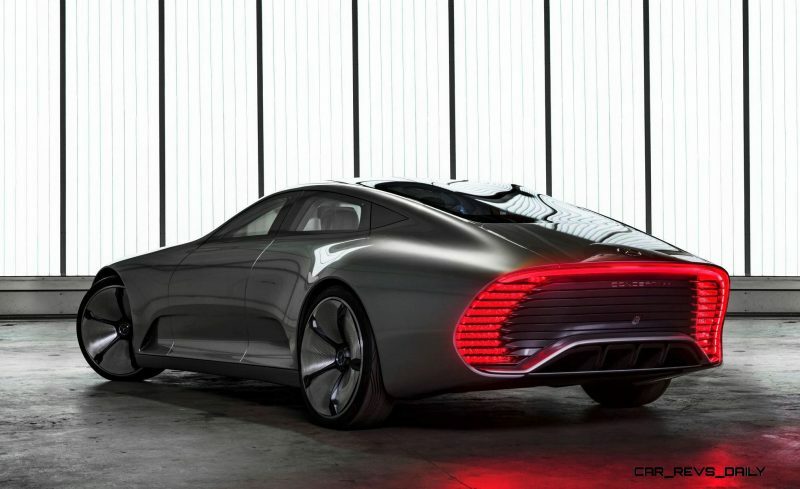 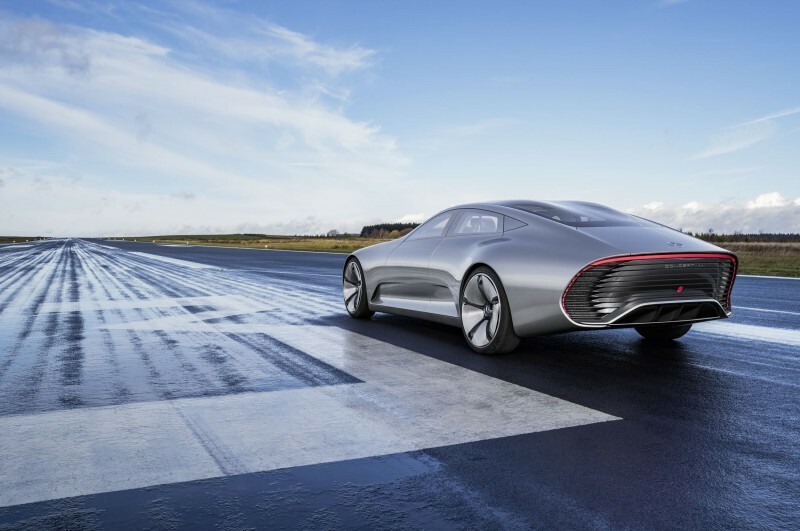 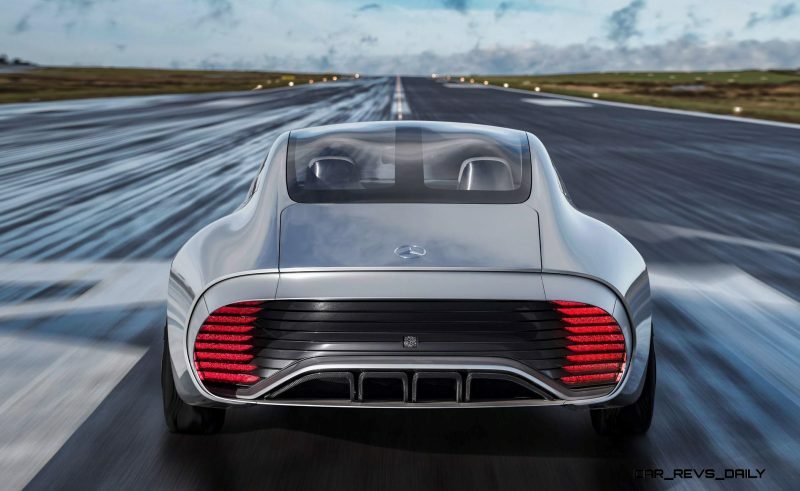 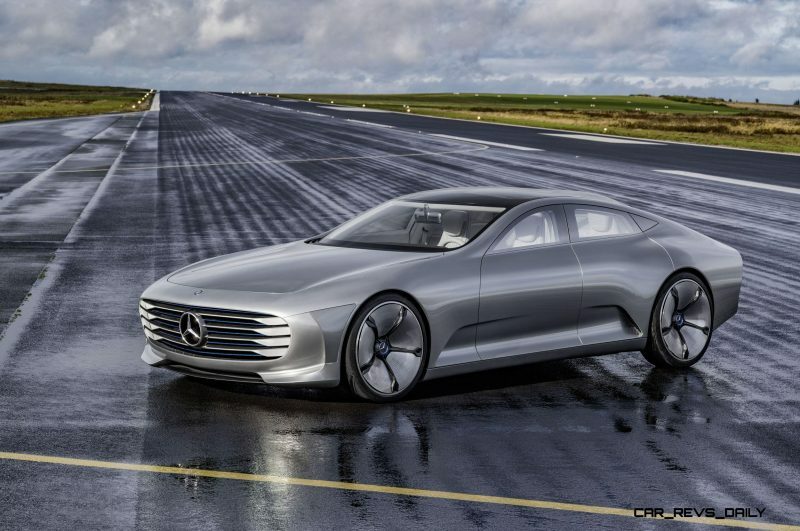 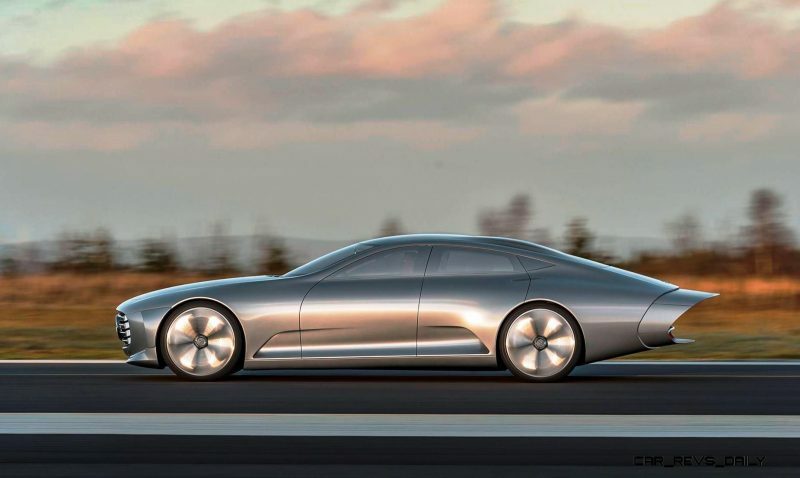 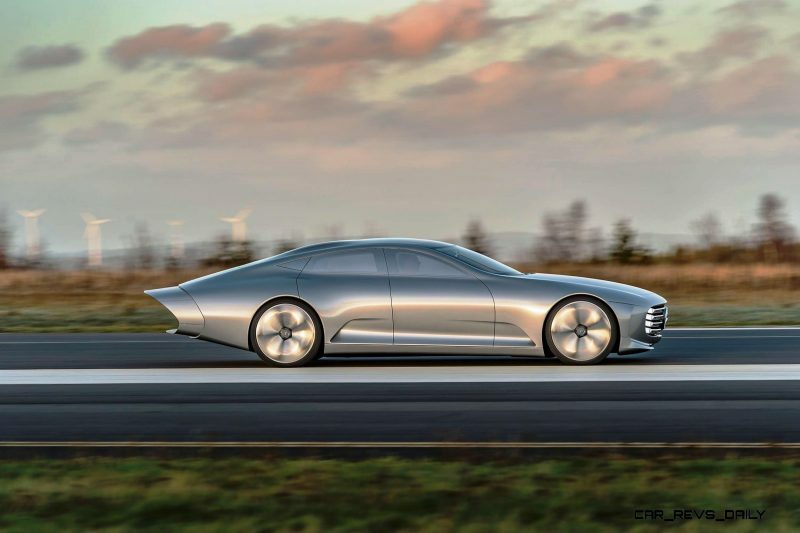 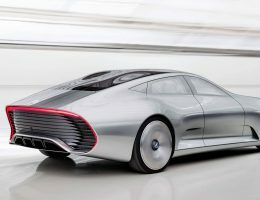 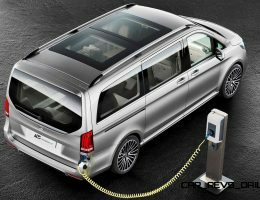 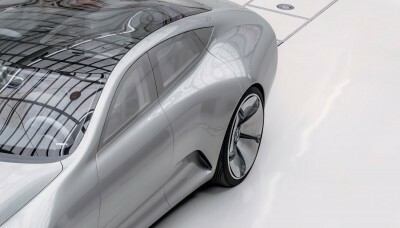 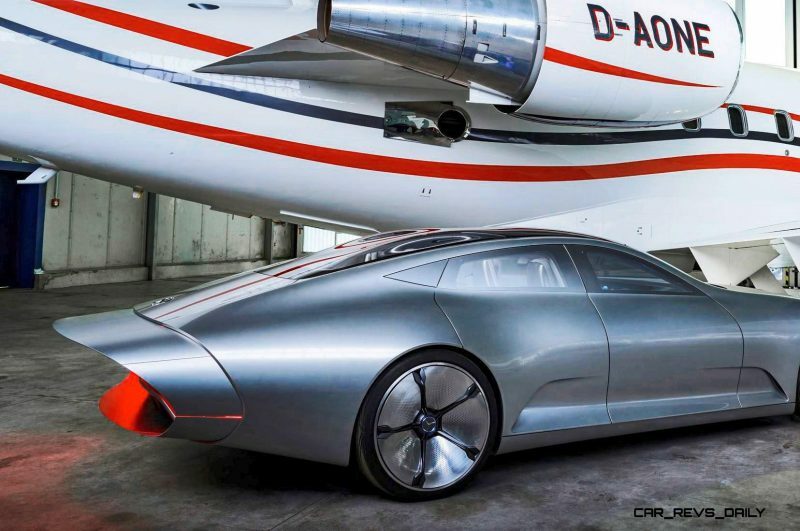 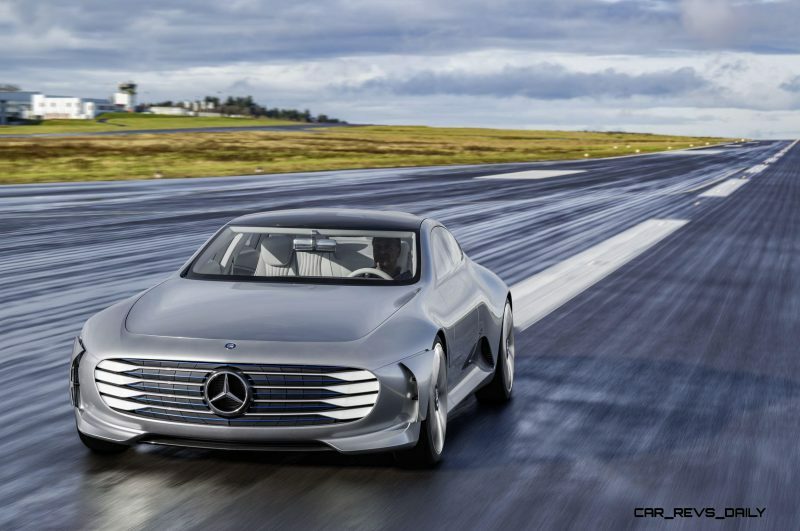 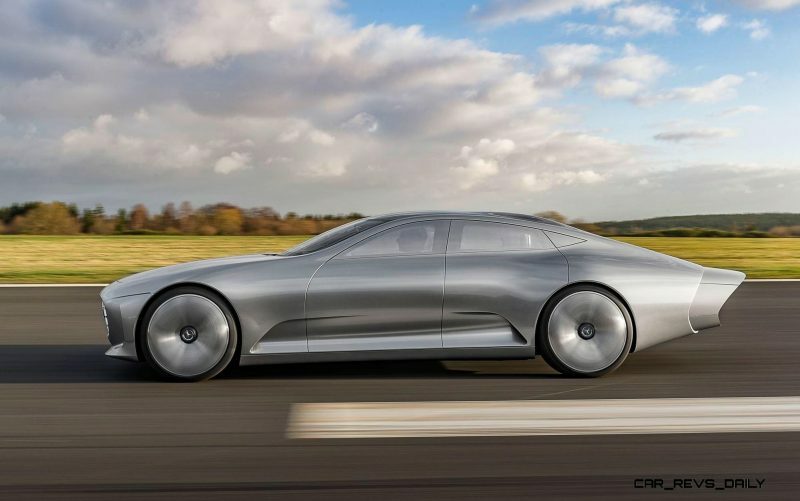 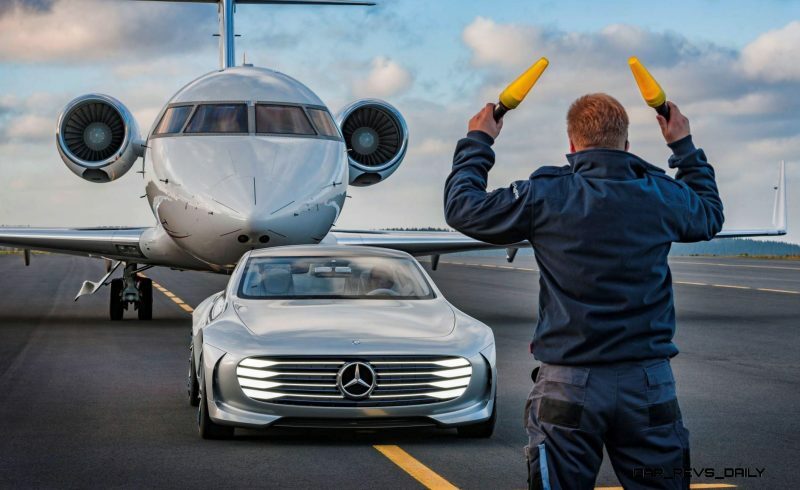 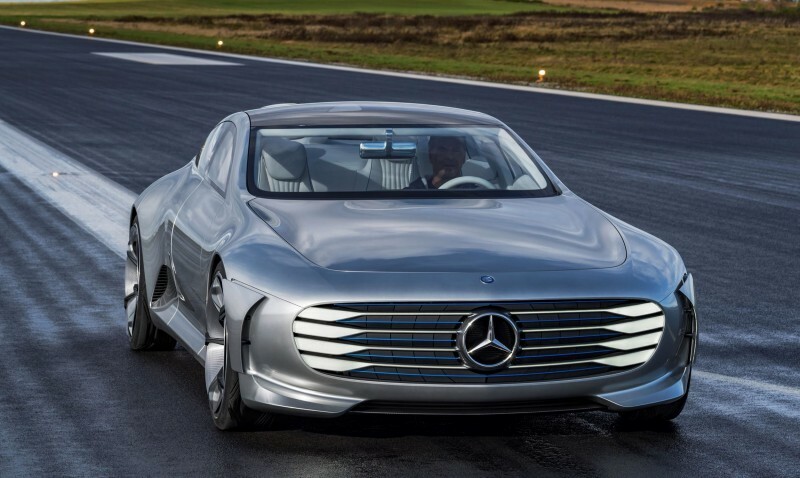 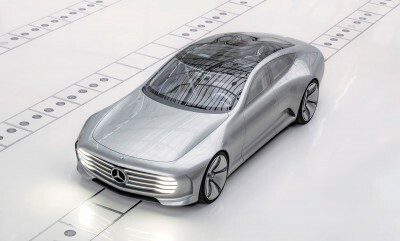 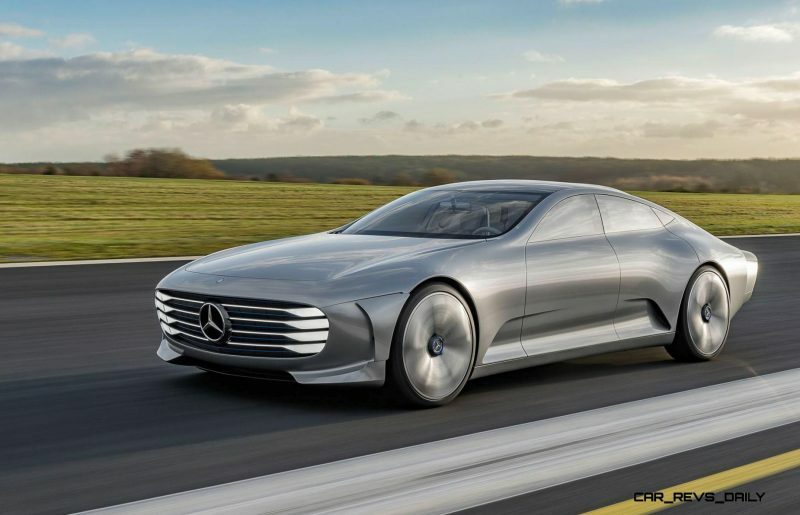 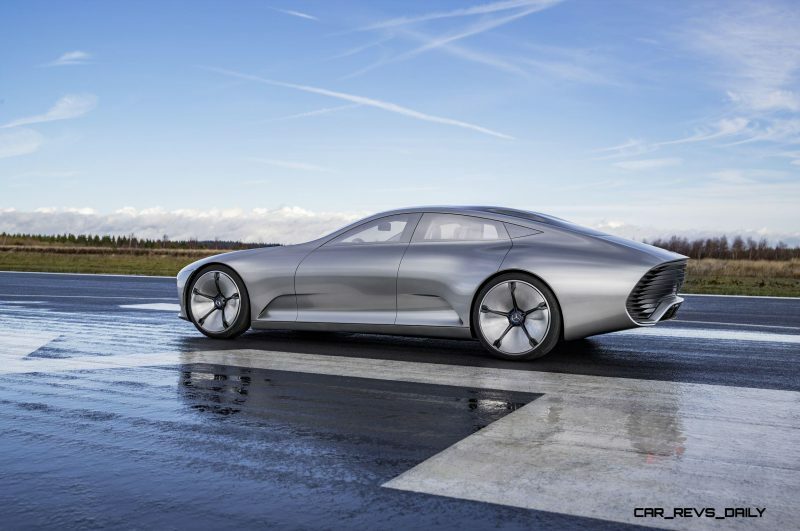 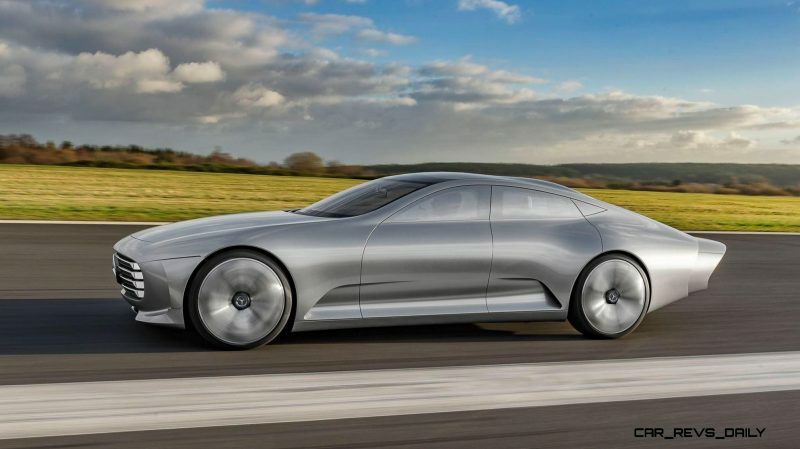 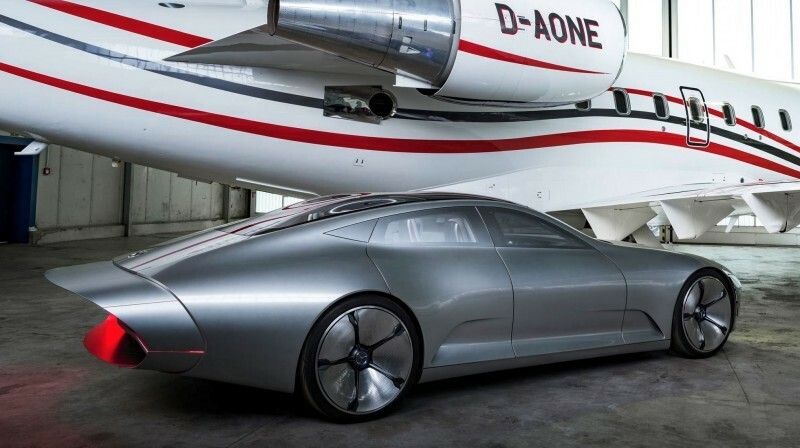 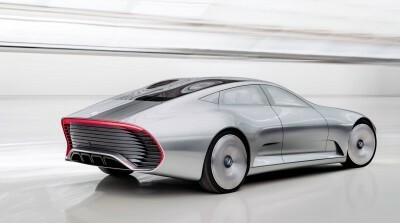 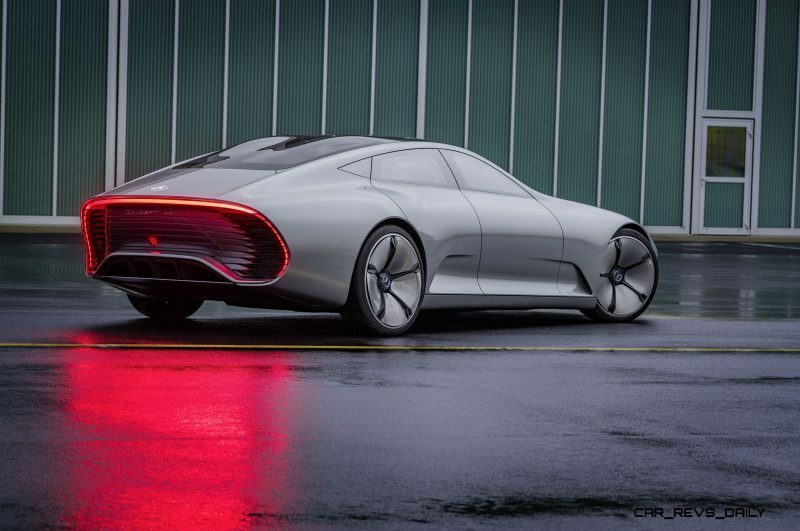 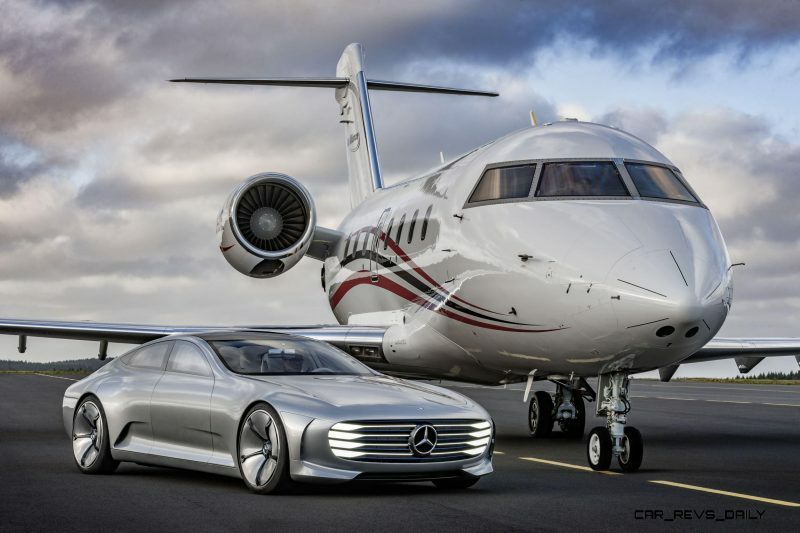 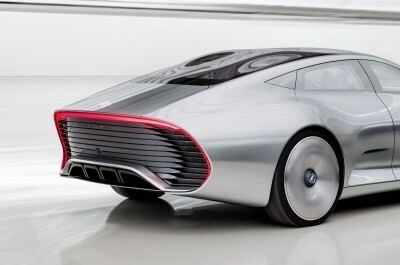 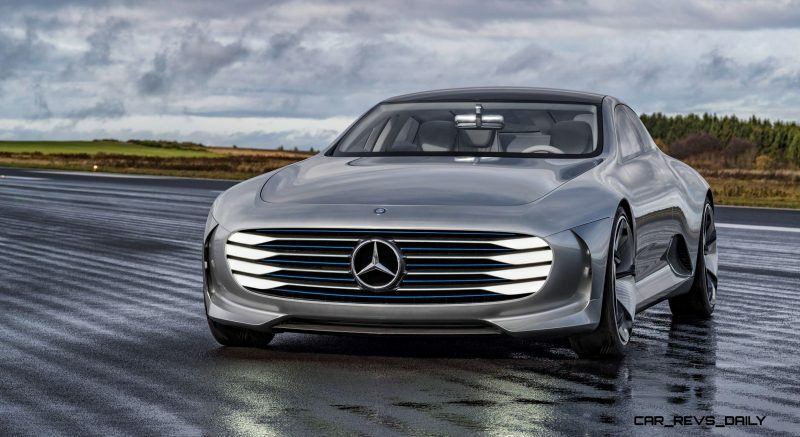 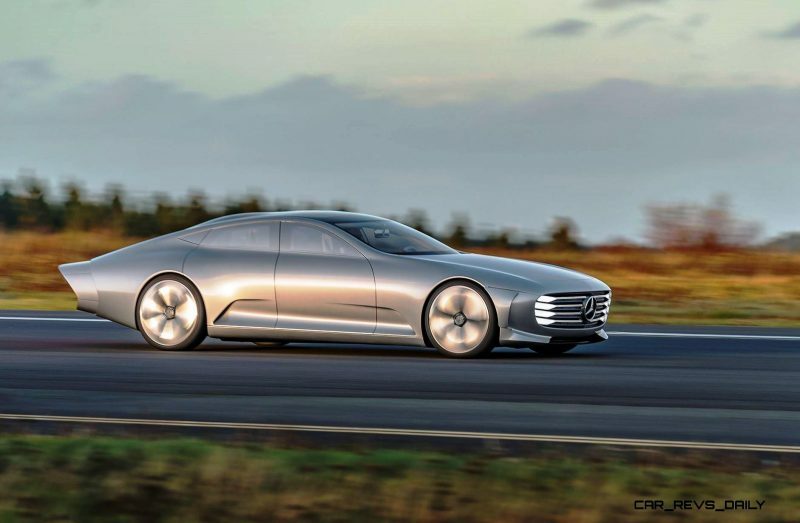 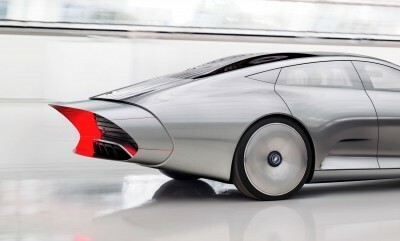 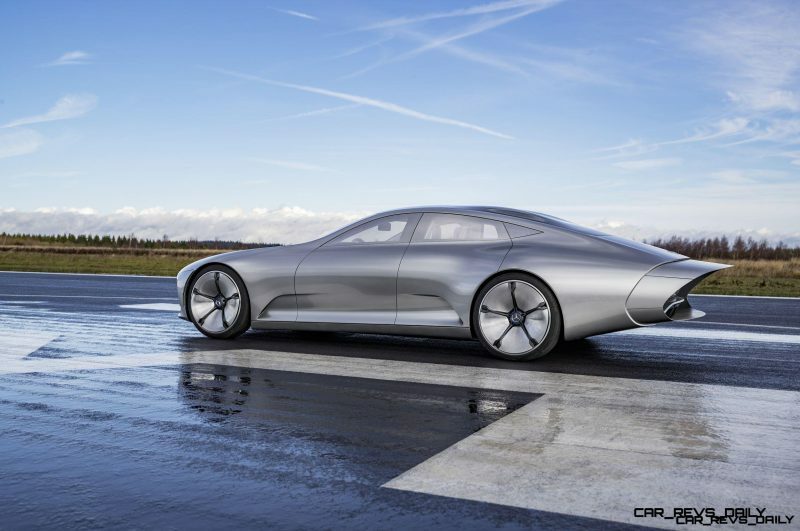 A few of Mercedes-Benz’s most advanced projects and engineering specialities come together for this all-new Concept IAA.